Are you looking for a great little handful of games to play offline on iOS? All ten of these games can be played without an internet connection and offer a great gaming experience. Monument Valley is a puzzle game that uses perspective to create alternate realities. Users create optical illusions to create new paths to guide their character to the end of the puzzle. Both games are puzzle platformers that draw inspiration from M.C. Escher perspective paintings. Each game has ten base levels and an additional expansion pack (costs extra) that you can buy if you like the game. 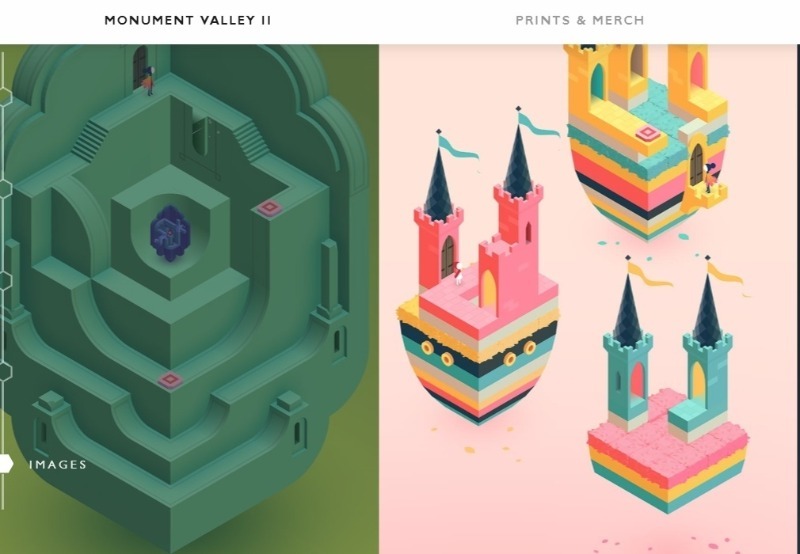 Monument Valley 1 debuted in 2014, and the sequel was released in 2017. Badland is a puzzle platformer with a unique twist. Players guide a little creature called a clone through woods with a rotating cycle. Dawn, Noon, Dusk, and Night all have their own color scheme and traps unique to that cycle. Night cycles in the game tend to feature harder traps as the level progresses. Bandland 2 features the same concept but with new tactics. There are new obstacles to avoid like water, liquids, flamethrowers, frost, magma, and more. Badland 2 also offers a challenge mode for players to compete on leaderboards. Tired of seeing puzzles and platformer games recommended all the time? Give your creative side a stretch with Minecraft. The game has an online component, but it can be played entirely offline. Build yourself a small farm on the grasslands and attempt to survive in this blocky world. The most recent update for the game brought several new features in its Village and Pillage update. Minecraft has been around on PC since 2009, but several updates have created a diverse world worth exploring. Alto’s Adventure and Alto’s Odyssey is a unique endless runner where players snowboard through unique landscapes. Alto endlessly runs to the right with players tapping to perform jumps and perform tricks. The game has 180 goals to complete, including tricks that require tricky thumb work. After the high critical reception from Alto’s Adventure, the development team followed up with Alto’s Odyssey. Odyssey features the same endless running, trick performing gameplay, but set in a desert this time. New features include wall-riding, water surfing, tornadoes, falling platforms, and balloon bouncing. 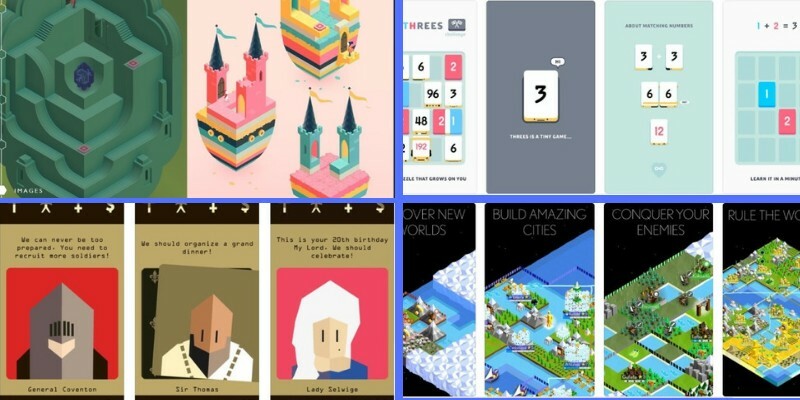 Threes is much like the game 2048 that gained such popularity in 2014. Players slide numbered tiles on a grid to combine numbers in multiples of threes. The numbers increase in size as you combine numbers, leaving less space for new tiles to appear. A game is over when there are no movable tiles left. The concept is deceptively simple, but it is incredibly hard to master. It’s also very easy to pick up and put down again, making it an ideal offline iPhone game. 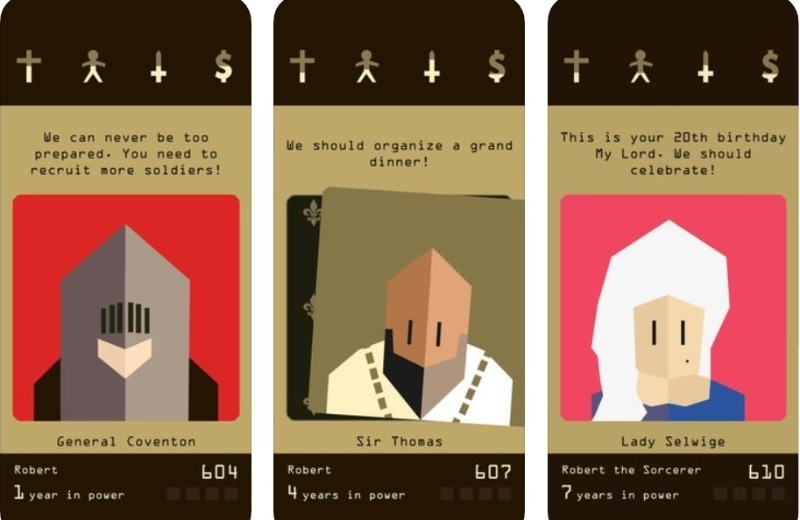 If you love Game of Thrones and would like to see how you do managing a kingdom, Reigns is the game for you. Players take on the role of a medieval king who must keep his religion, people, army, and coffers balanced. Players make choices by swiping a card left or right, much like Tinder. These choices can impact the balance of your kingdom favorably or unfavorably in one of the four pillars of society. The game ends when one of the four pillars of society is unbalanced compared to the others. That king’s reign ends and players can start again with a new heir. The Kingdom Rush series of games are real-time tower defense games with a fantasy setting. The games consist of several levels of lanes with empty slots where players can deploy towers. Unlocking all the stars on each level grants players upgrade points for each of their towers. Each of these games continues the story told in the previous game, so if you enjoy tower defense games check these out. Kingdom Rush Vengeance is particularly unique since players assume the role of the series villain in that game. Cultist Simulator is a card-based roguelike where you take a person of simple beginnings through the madness of forming a cult. It was developed by one of the creators of Fallen London and Sunless Sea, two narrative-heavy games on PC. It’s a fascinating game to play even though it is a bit hard to understand at first. Think of it like a card-based Sims game where the person you’re playing is slowly descending into madness. As you discover new conspiracies, new options become available to characters you’ll play in the future. The definitive 4X game that has defined PC gaming for a generation is now available on iOS. Civilization VI is the full game made portable for iPhone and iPads. While the game will run just fine on any recent iPhone, the larger screen of the iPad is ideal for this one. Players take on the role of one of the world’s ancient empires to progress through the ages. Economic, military, or religious victories are all possible, and the ‘just one more turn‘ addiction is alive and well on Civ VI for iOS. The Battle of Polytopia is for people who like the gameplay of Clash of Clans without fighting real people online. It’s a turn-based strategy game with small cube-like tribes who are fighting for dominance. It’s a mix between Clash of Clans and Civ VI, and each game feels unique for unlimited replay value. The game is available for free on iOS and offers a tremendous on-the-go strategy iOS game experience. Exploring the map grants upgrades to your tribe and new technology to research. The single-player mode is highly engaging and can be played offline, but the multiplayer mode is fun, too.